Sitting on a File Cabinet, Naked, with a Gun offers an engaging, entertaining insider’s look into the offices of some of the most powerful men and women in Silicon Valley, as executive assistants spill the beans about their CEOs. Executive assistants are arguably the most influential people on a chief executive’s staff. Currently, over 8 million administrative professionals help over 4 million executives & general managers to broker and schedule meetings, decide who gets the CEO’s ear, and select airlines, hotels, car rentals, and other vendors. In addition, they often support the CEO’s personal needs. They also regularly give input to the CEO on employees, from new candidates to old-timers, and they most definitely impact the fortunes of the businesses that serve them. CEO executive assistants are historically a “secret weapon” — typically not even recognized for their power to influence the CEO, and often written off as “just a secretary.” Beware of making that outdated mistake. Today, the executive assistant to a CEO wields a huge amount of power and is engaged in all aspects of the business. They continually seek out ways to make their jobs more efficient, more enriching, and more empowering. They leverage their CEO’s highly valuable time to enable them to devote their total energies to making the major strategic decisions for their companies. Sitting on a File Cabinet, Naked, with a Gun is a book for anyone who has ever wondered about what goes on behind the closed doors of the executive suite. It’s especially useful for anyone who has his or her eyes on a spot reporting to a CEO one day. 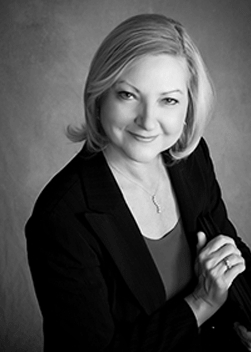 Joanne Linden, AdminUniverse™ President and Master Trainer, has over thirty years of administrative experience. She has dedicated decades of her life and career to this integral position in the corporate world. She has assisted numerous current administrators advance their careers by facilitating Star Achievement Series® workshops to nearly 1,000 Administrative Professionals and Executive Assistants.